Fort Scott Community College offers a wide variety of musical activities for students. Students need not be music majors to participate in the events; however, they must have permission of the director. 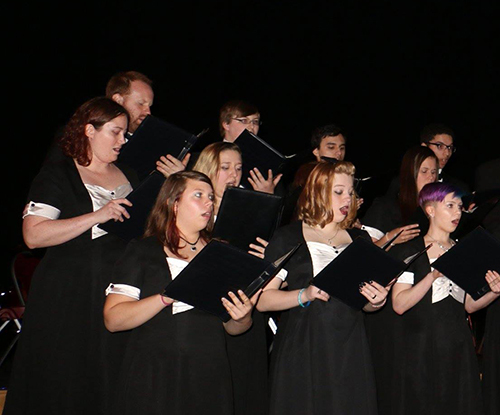 Members of the choir perform at collegiate and community events. Scholarships are available through the Endowment Association for the FSCC Music Department. Fort Scott Community College selects a group of vocalists who perform contemporary songs with choreography and tour area high schools in Kansas and Missouri along with the Jazz Band (spring semester). FSCC Madrigal Singers perform in the fall and produce the Christmas Madrigal Dinner. 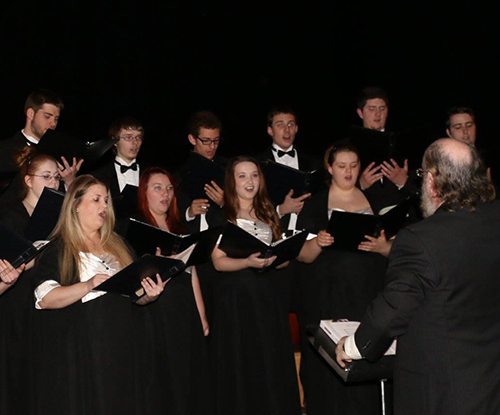 Many students who participate in FSCC choral activities also perform with the Community Chorus, which performs in the spring and produces a major work in conjunction with the FSCC orchestra. If you would like to become a more active member of the vocal community, contact Seth Ernst at 620-223-2700, ext. 3058.